Charnice Milton, 27, was born in Southeast Washington, D.C., an area plagued by crime and poverty. She would go on to graduate from Ball State University and earn a master's degree from Syracuse. She wanted to make a difference in her community, so she returned home to take a job with a local newspaper. 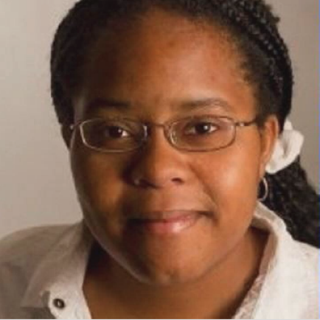 "She had her own condition of Asperger's, and it was presumed because of her special condition, she would never excel and never achieve any great feat," Milton's father, Ken McClendon, told My Fox DC. "Yet watching our daughter walk across the stage at Bishop McNamara High School with honors, then going to Ball State and graduating with honors, then graduating at Syracuse with honors and then staying here in Southeast Washington, D.C., when she could have gone anywhere." Wednesday night, a little after 9:30, Milton was shot and killed while she waited for the bus. She was across the street from Capital Community News, where she had worked since 2012. "What we do know is that out of cowardice, a young man grabbed my daughter and put himself between the bullet and his life," Ken McClendon, the victim's father, told My Fox DC. According to the Washington Post, a gunman drove up on a motorcycle and began firing shots. Milton was not the intended target. She was transported to a local hospital, where she was pronounced dead. D.C. Mayor Muriel Bowser is calling for the public's help in solving the case. "We want to know," Bowser said. "We know that people were in and around the area. We have gotten very little information, and we need the public to provide that information so Charnice's killer can be captured." "We miss our daughter," Milton's mother, Francine, told the news station. "We hurt that she is no longer with us it. But we also know that she is at a peaceful place." "We are firmly founded on the Lord," Milton's father added. "We believe that she had an appointed time, and the time she was with us, we enjoyed every single moment of her life. She was a good girl." Read more at My Fox DC and the Washington Post.